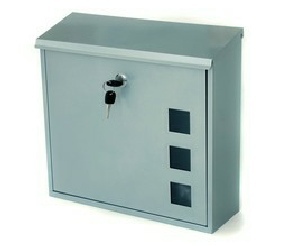 The Aire mailbox is a fantastic value for money post box. Top posting slot under lift up lid. 3 x perspex viewing windows to check for mail. Lovely design. Great capacity, easily taking wider than A4 mail with an extra wide posting slot. Available in Stainless Steel or Black.